With the opening of The Coral Room fast approaching, the Bloomsbury hosted a series of Open Days. These were designed to attract fun, outgoing, likeminded hospitality people to join our amazing team. The Open Days were hosted in the gorgeous surroundings of the Bloomsbury Club Bar and included cocktail making, food tastings, goodie bags and a sneak preview of the new uniforms. It was great to see lots of the existing team get involved with the events too – from helping direct candidates, to making cocktails and speaking with candidates about how to #chooseyouradventure. 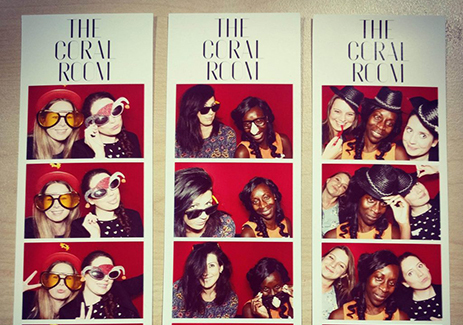 The most fun though was seeing the team from the Bloomsbury take some group photos in the photo booth!